On behalf of the ten German Federal States in the Elbe River Basin, the RBC Elbe's Liaison Office supports and coordinates cooperation between the ten Federal States which are responsible for the implementation of the European Water Framework Directive (WFD) and the Flood Risk Management Directive (FRMD). On July 1, 1977, the Administrative Agreement (see ARGE history) on the founding of the Elbe River Pollution Control Work Group (ARGE ELBE) between the three Federal States of Hamburg, Lower Saxony and Schleswig-Holstein came into force. Its objective was to ensure close cooperation in the domain of water management, esp. regarding matters of water conservation and aquatic ecology. To deal with all technical aspects of its duties, the ARGE ELBE established an office, the so-called “Wassergütestelle Elbe (WGE)”. 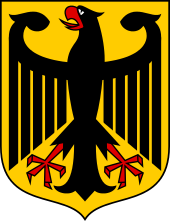 On July 1, 1993, the four Federal States of Saxony, Saxony-Anhalt, Mecklenburg-Western Pomerania and Brandenburg joined the ARGE ELBE. Upon the entry into force of the WFD in 2000 and calls for cooperation throughout the entire river basin, Bavaria, Berlin and Thuringia became involved in the Elbe River Basin cooperation (founding of the RBC Elbe in 2004). Between 2004 and 2009. The ARGE Elbe and the RBC Elbe worked together on water management matters within the Elbe River Basin and the river Elbe itself. On January 1, 2010, the new Administrative Agreement by the ten Federal States in the Elbe River Basin came into force and the ARGE Elbe and the RBC Elbe were merged.